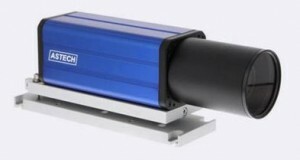 The intelligent line scan cameras of the Lixus-i PN series are autonomously working measuring and monitoring systems with a high resolution. The integrated, extremely powerful signal processing analyses each scan precisely. It provides measurement results, can filter them and monitor them for definable tolerances, and intervene the process directly via several outputs. The cameras can be triggered asynchronously through external incidents. Several systems can be combined and synchronized. The configurable signal processing core facilitates high flexibility. The function library is expanded on a regular basis. Selection and parameterization of the function modules is done with comfortable software under Windows. After the installation has been completed and the settings have been saved, the cameras of the Lixus-i PN series work autonomously. The cameras Lixus-i PN have manual, respectively automatic controls for the exposure time, amplification and video offset (contrast adjustment). So they are able to rectify a changed scene illumination and to ensure optimal adjustment of the sensor to the signal processing in changing ambient conditions.